When you install Steam, it automatically creates an installation folder for your games. This folder is located on the same drive where you installed Steam itself, which can become inconvenient if you run out of space. When you run into this problem, you need to move some of your Steam games to another drive. Dealing with limited storage space on the drive where you have Steam installed used to be a huge hassle. In the early days of Steam, your games all had to be located on the same drive as the Steam client itself. If you ran out of space, you had to jump through hoops with third party software applications, symbolic links, and other annoyances. None of that is necessary anymore. Steam has the built-in capacity to move any game you have downloaded to any storage drive you have connected to your computer. All you have to do is tell Steam the new location where you want to be able to store games, and then tell it which games to move. You don't need a steam mover program, or any third party tool, to move Steam games. These tools are no longer necessary because of Steam's native ability to move games without outside assistance. Many of these programs are very old, and haven't been updated in a long time, so use them at your own risk. Before you can move Steam games to a new drive, Steam needs to know where it's allowed to store games. By default, it wants to store games on the same drive you chose when you first installed the Steam client. To accomplish this, all you need to do is add a new Steam library folder on the drive of your choice. Steam will create the folder where you tell it to, and then you'll be ready to move some games. You can create a new Steam library folder on any hard drive, solid state drive, or even removable USB drive that's connected to your computer. Select a drive for the new folder. Enter a name for the folder, and click OK.
After Steam creates the new install folder, you'll be ready to move games. Once you have created a new Steam library folder on the drive of your choice, you're ready to start moving games. 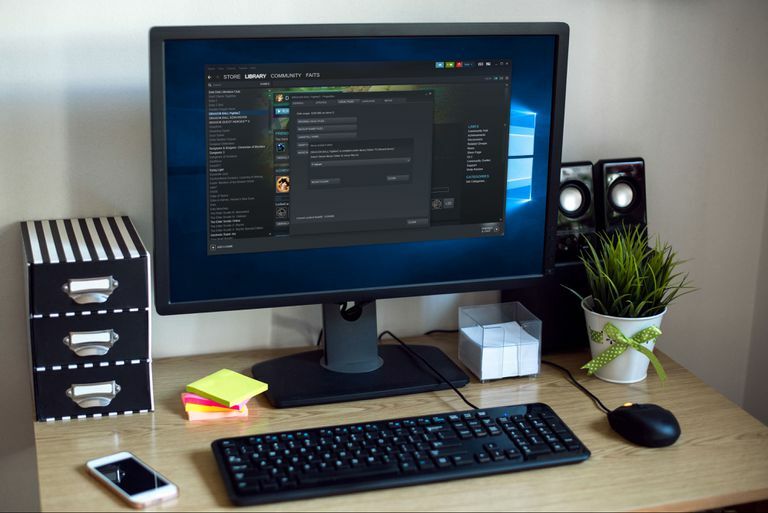 This process requires you to move one game at a time, and it can take quite a while for Steam to complete the transfer process depending on the speed of your hard drives. This method moves games from one drive on your computer to another, which doesn't use up any of your internet bandwidth. If you delete a game and then reinstall it in the new folder, instead of moving it, you will need to download it again, which will use your internet bandwidth. Move your mouse over the LIBRARY menu item, and click GAMES. Right click the game you want to move, and click Properties. Select the destination drive and folder for your game. Wait for Steam to finish moving your game, and then repeat this process for each additional game you want to move.